For young musicians who are interested in more modern or popular styles of music have a variety of ‘Rock School’ ensembles they can elect to join. Beginners can start in Band Skills 101 which provides an introduction to popular instruments including guitar and ukulele, percussion instruments, and keyboards. Academy Guitars is open to all ages 7+ with basic guitar experience. Academy Guitars work on plucking and strumming popular songs. 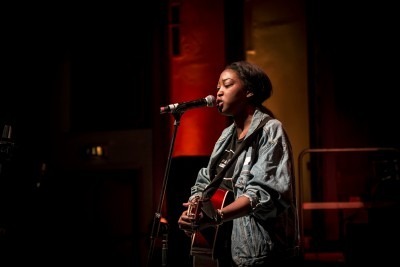 The Newham Music Collective is a contemporary music group who regularly explore pop, rock, jazz, blues and work on original songs as well as classic hits. NMC has competed in many Battle of the Bands over the years. 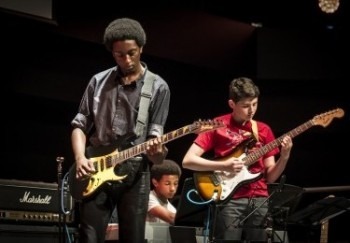 New this year, and launched in partnership with the National Youth Jazz Orchestra, the Newham Youth Jazz Collective will practice improvisation skills and is open to more advanced players.